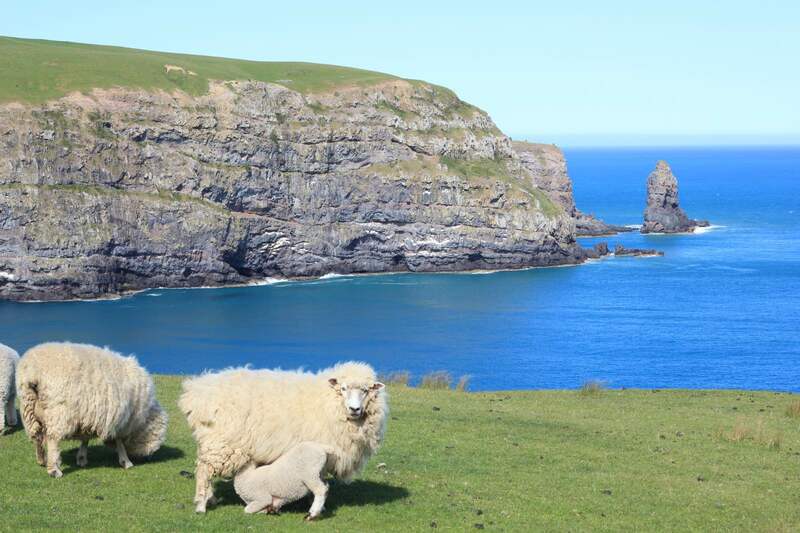 In late 1980 – a time when Diana Ross topped NZ’s single charts with “Upside Down” – sheep farmer Jeff’s girlfriend Clare returned home to California for good. 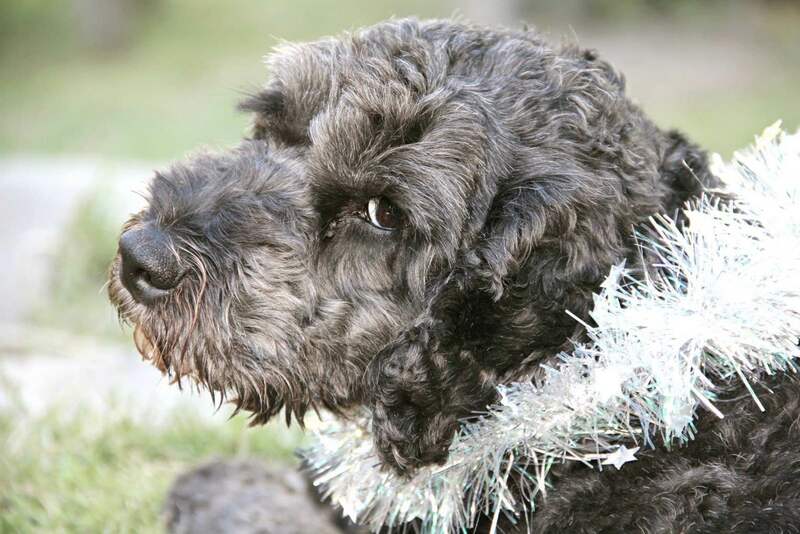 Speaking of upside down, Jeff was devastated by his sudden loneliness, so he pulled up at the local backpackers and asked if anybody wanted to give him company on his farm – which didn’t sound as dodgy then as it does now. A girl named Almuth and an English couple said "why not? 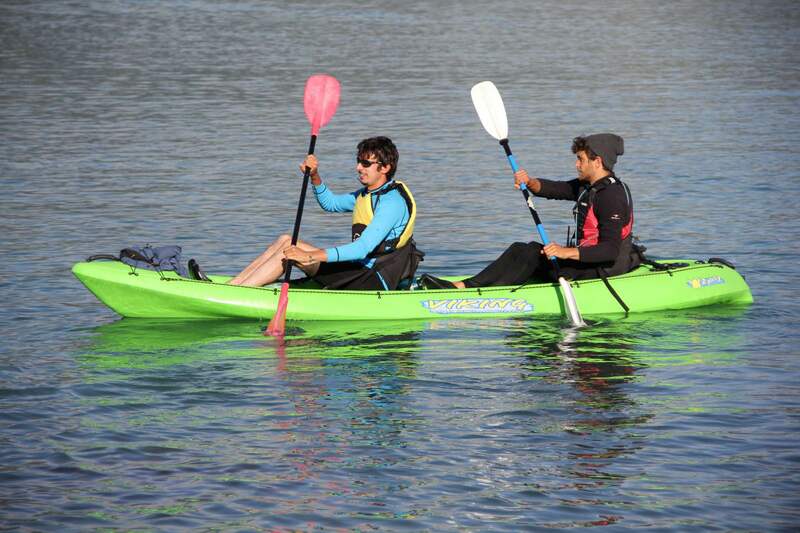 ", fell in love with the place and ended up staying several months. Jeff decided to trade 'sheep' for 'sheet' and the rest is history. 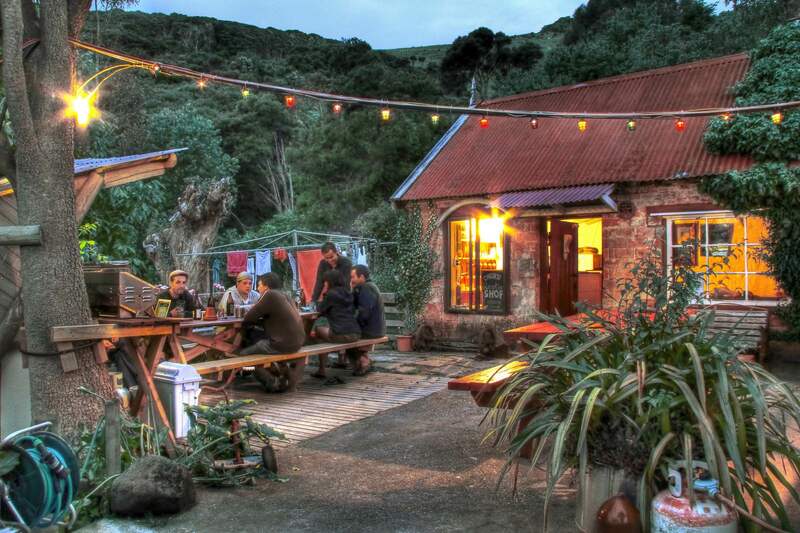 Today, Onuku Farm Hostel still caters for the traditional backpacker – with accommodation ranging from tent and van sites to private and dorm rooms to huts and stargazers. 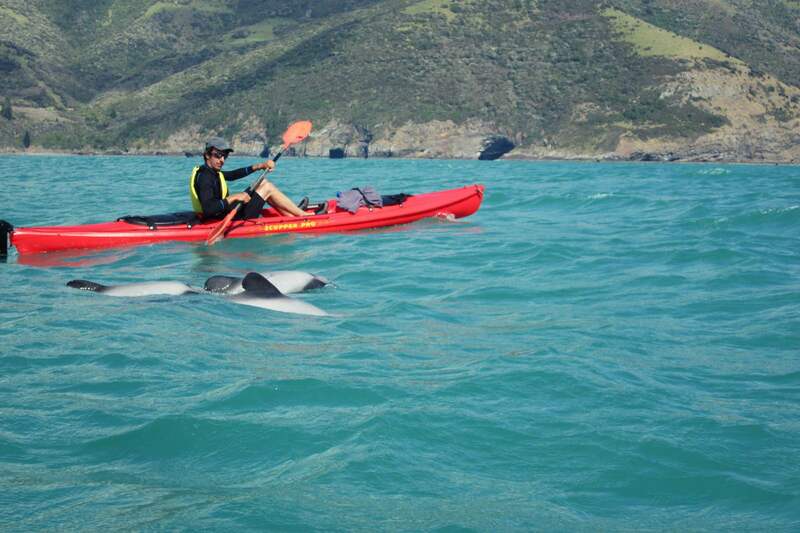 Located on the edge of the Pacific on Banks Peninsula with the next-door neighbours being Antarctica's penguins, Onuku Farm Hostel is the perfect spot to unwind and explore nature – be it on a family-operated dolphin swimming or kayaking trip or one of many breathtaking coastal walks. 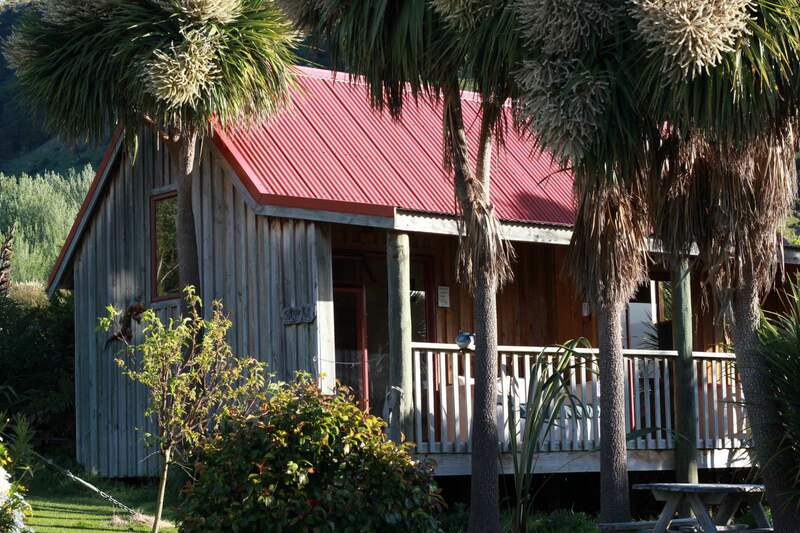 The old farmhouse is the heart of Onuku Farm Hostel. Except for the peace sign that Jeff put on its roof to protest against the sinking of the "Rainbow Warrior", it hasn't changed much since the 1870s. 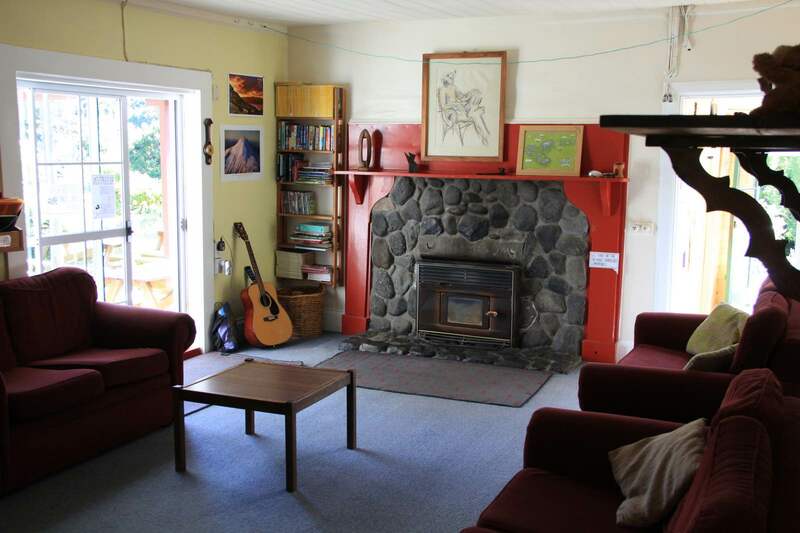 The attached Brick Hut hosts the reception and regular potluck and board game nights. If your guitar skills exceed "Nothing else matters", you're also welcome to use it for a wee jam session. 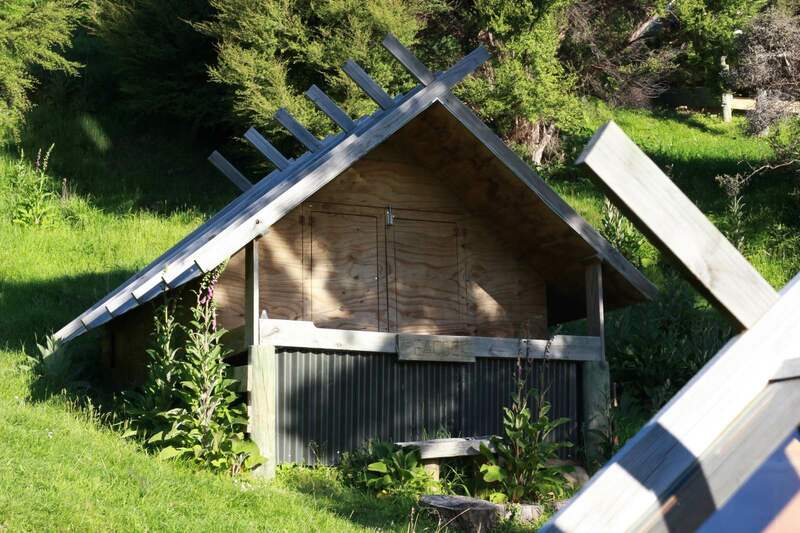 If you prefer it less crowded, chill out in a hammock or with the locals: our pet dogs, sheep, goats, doves and chickens. We don't have five or six stars – we have the Milky Way. 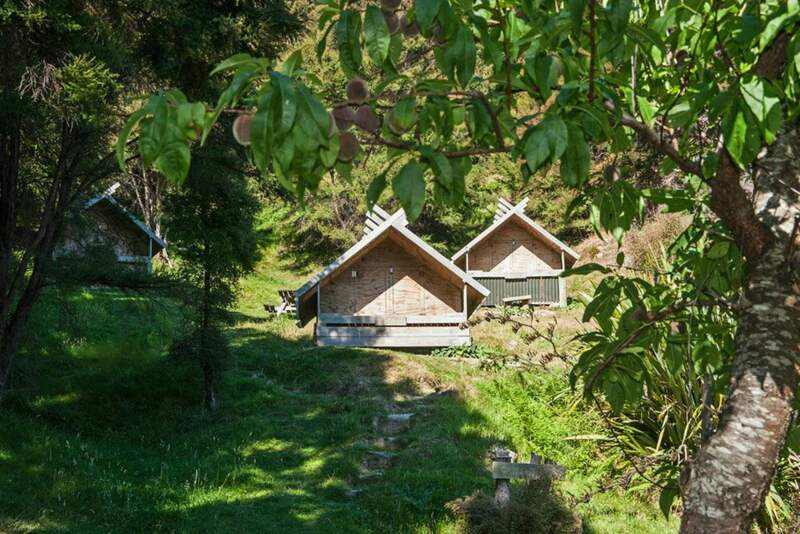 And our unique stargazers – wooden tents with see-through roofing – are how best to enjoy it. 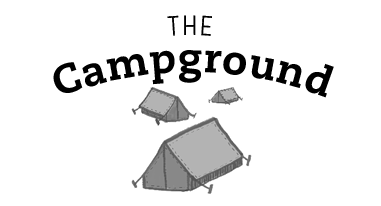 Together with 14 tent sites and our budget dorm "Tophut" they make up our walk-in campground that is located in a tranquil clearing amidst Kanuka trees. We proudly employ sheep labour to look after it, so all you have to do is make yourself at home and enjoy the great vibes. 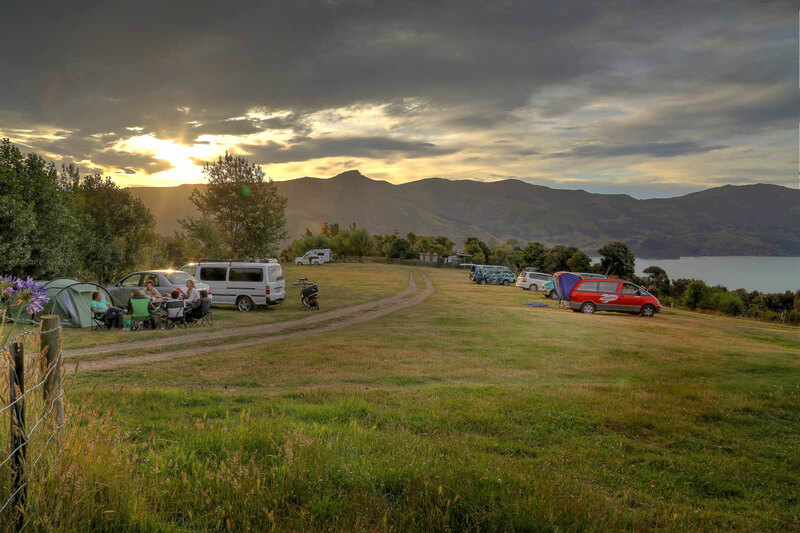 Our van park is nothing short of camper van heaven. 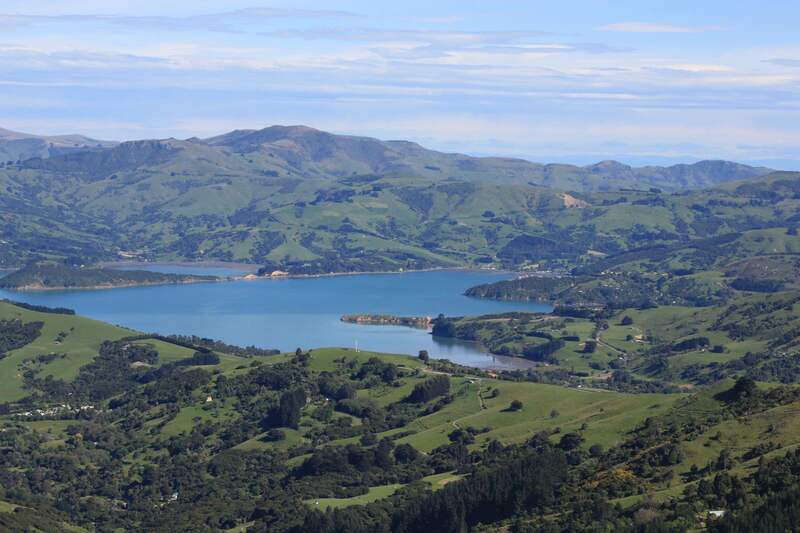 Sitting on a flat grassy area 200 metres above sea level, it will spoil you with the most stunning view into Akaroa Harbour that you can get without a pilot's license. 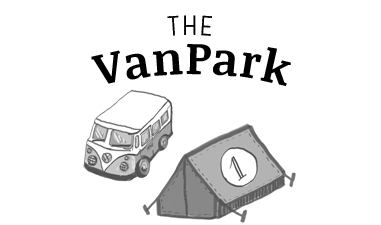 In fact, it's so good we're often required to help start the engines of vans that refuse to leave. 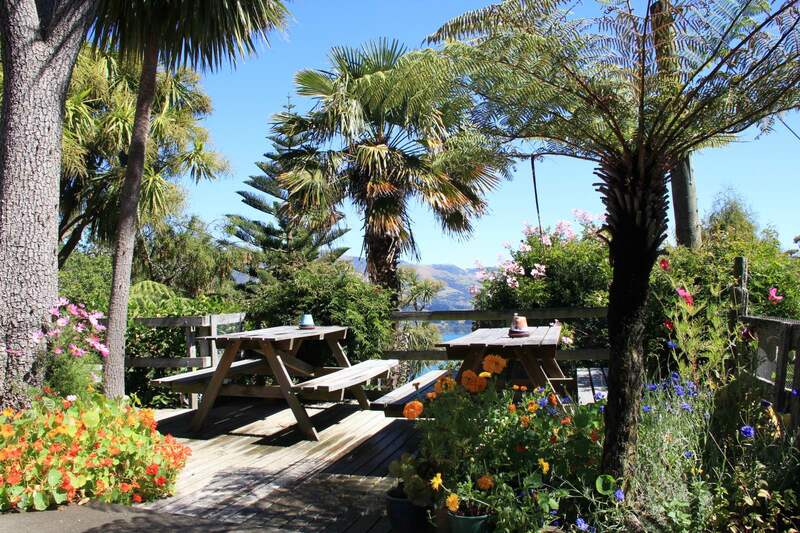 Climb the "Ridge" – the highest lookout on the farm – for spectacular coastal views, catch Paua at the fishing spot or take a dip in the Pacific at the swimming beach. 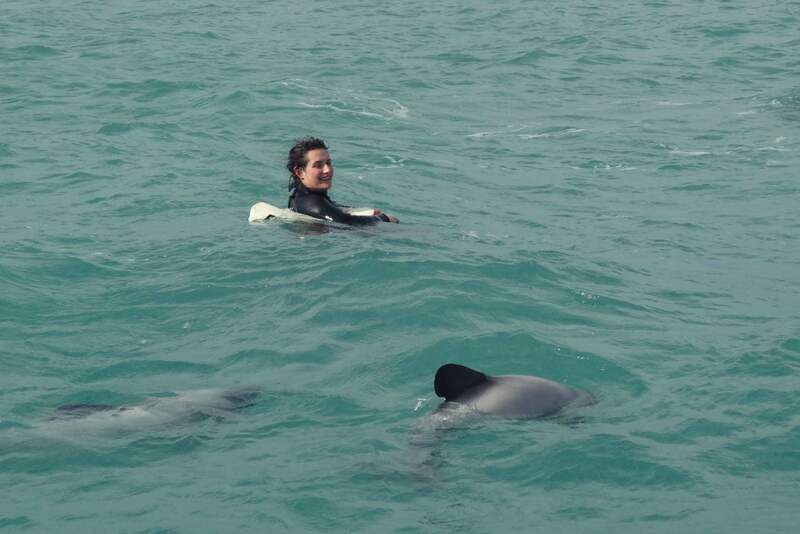 For the more adventurous, we rent out kayaks and operate our own swimming trip with Hector's dolphins – the smallest and rarest in the world. 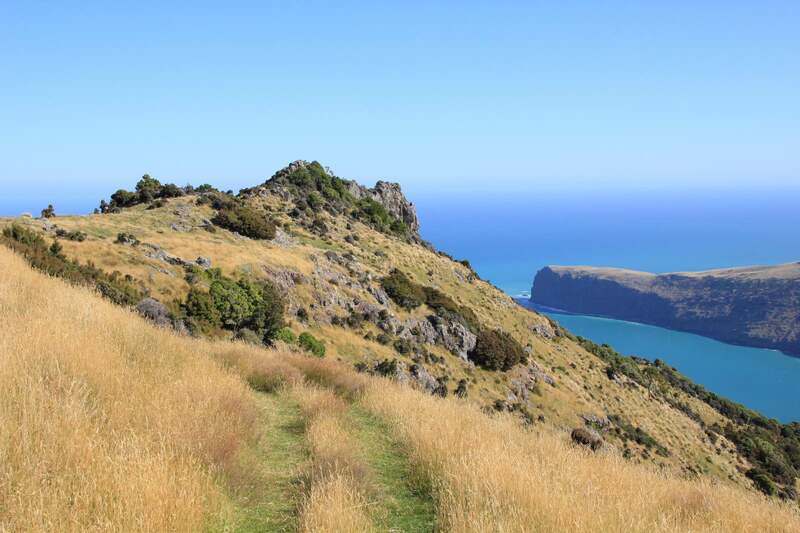 If you're not in a hurry to return to city life, why not walk the popular Banks Peninsula Track or our new Skytrack around the Akaroa Hills? 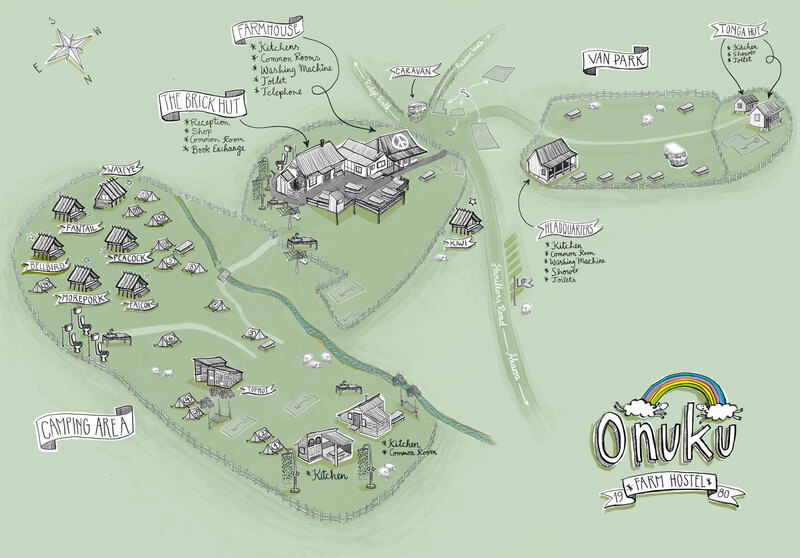 Via SH75 from Christchurch, pass straight through Akaroa and follow "Onuku Farm Hostel" signage for 6km. 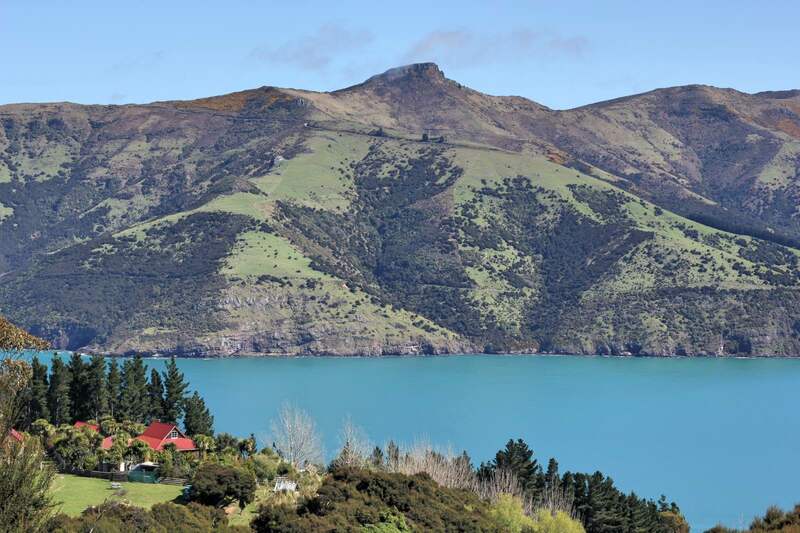 Take the Akaroa Shuttle or French Connection from Christchurch. 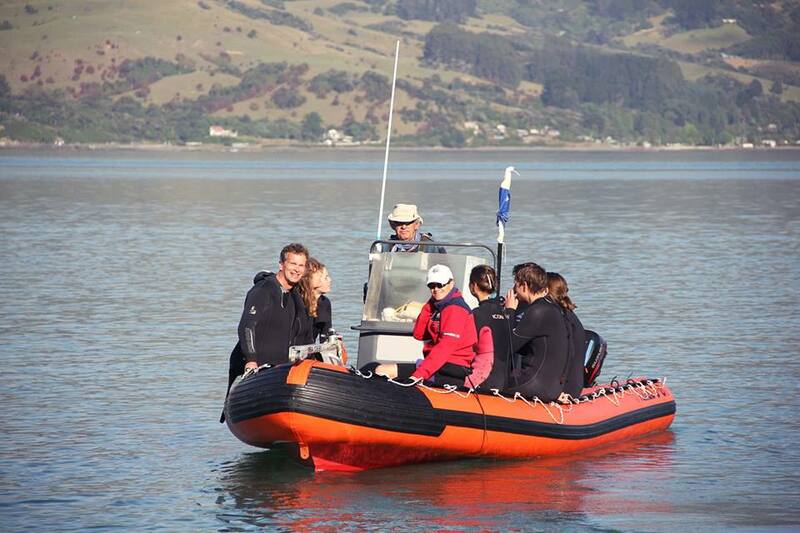 Free pickup at 1.30pm from Akaroa on request.